Ever since Victoria’s original brewery, Spinnakers Brewpub opened in May 1984, the craft beer scene on Vancouver Island has exploded and there are now around 30 breweries and brewpubs you can visit on your travels around the island. So it was without a doubt when I was planning my visit to the BC capital of Victoria, on Vancouver Island, that I would be visiting a few breweries. 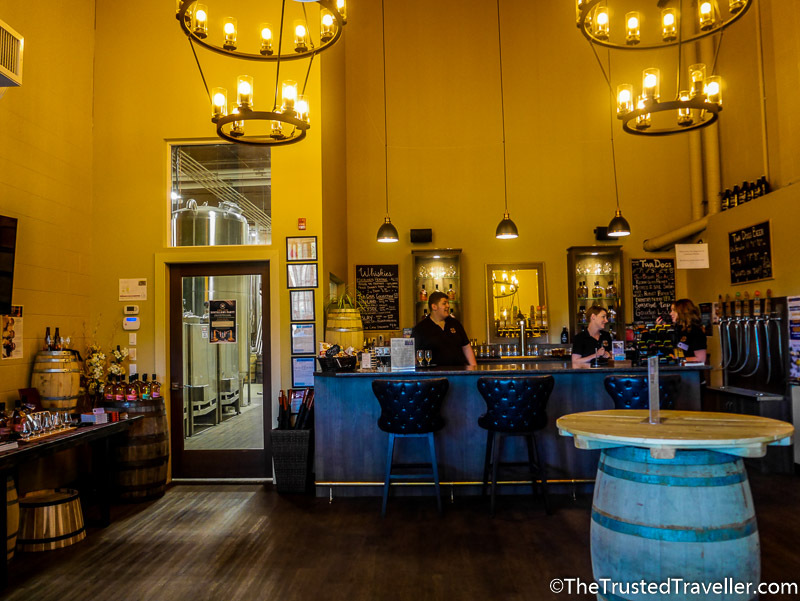 Travelling solo and without a designated driver to take me on a tasting tour, I found the best option was to book a tour. There are a few breweries that are accessible on foot from downtown Victoria, but I really wanted to be able to visit some on the outskirts too. Enter West Coast Brewery Tours! 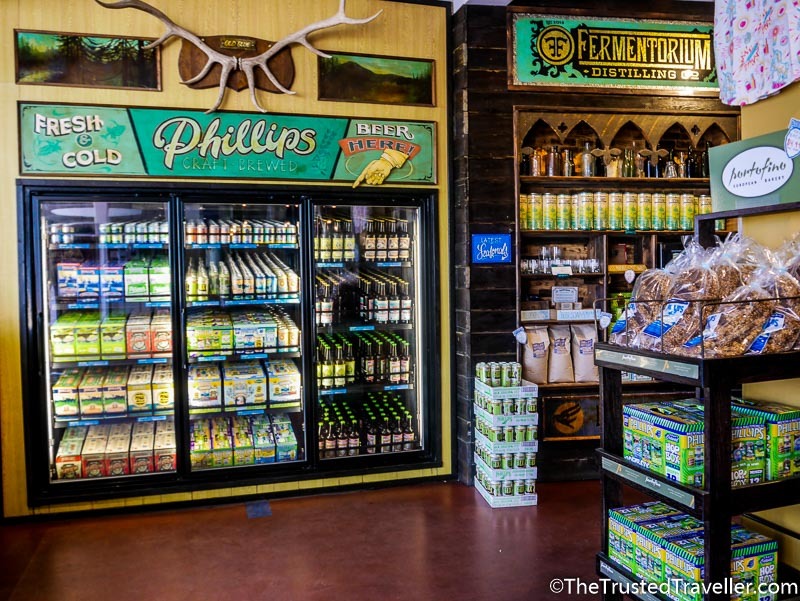 Why West Coast Brewery Tours? I picked West Coast Brewery Tours to show me around Victoria’s finest breweries because according to the internet, they are the best at what they do. 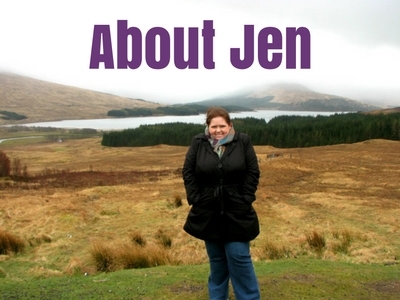 A massive (and almost unheard of!) 96% of people who reviewed their tours on Trip Advisor gave them five stars making them the number one food and drink tour in Victoria. Who can argue with that! Going into a tour with almost perfect reviews, my expectations were pretty high. But I am happy to confirm that all those people are 100% correct. 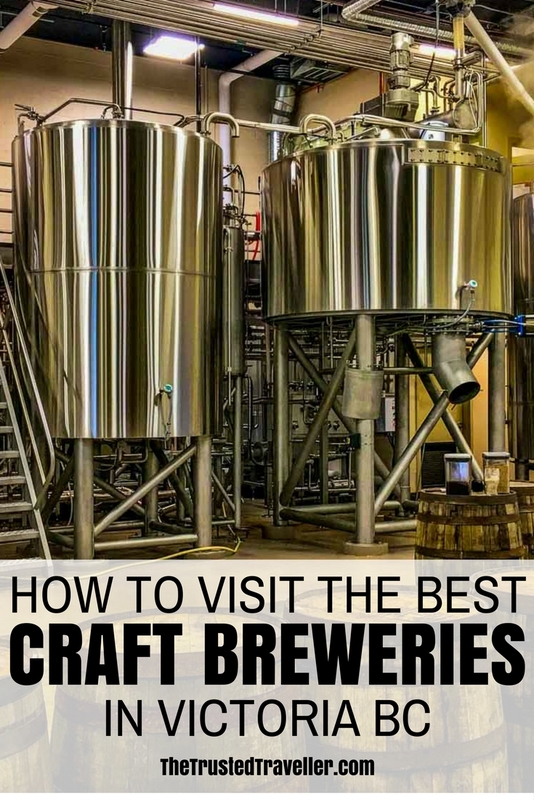 I’ve been on lots of beer, wine and food tours over the years but my experience on West Coast Brewery Tours, The Definitive Craft Brewery Tour, was one of the best. First things first, I loved the beer. I tasted a few of the best brews I’ve ever had on this tour, but more on that later. Apart from the ample delicious beer samples at each stop, my favourite part of the tour was spending a few hours with a passionate and knowledgeable guide and tour mates who seemed to love beer as much as I do. Chris, our guide and driver for the tour, has a real passion for craft beer. He has brewed himself and knows the brewing process well. At each stop and in the van between stops, Chris shared with us the brewing process from start to finish. He told us about the history of craft beer in Victoria and the history of each brewery we visited. He knew the best beers to taste at each place and shared some great tips on other places we could visit in town after the tour. His passion for the craft beer scene in Victoria really shone through. The small group was great also. There was just me and two others on the tour making it easy to get to know my fellow tour mates. They were a fun couple from Seattle on a long weekend getaway in Victoria. We shared a love a craft beer, swapped travel stories and had some laughs, even after the tour finished. 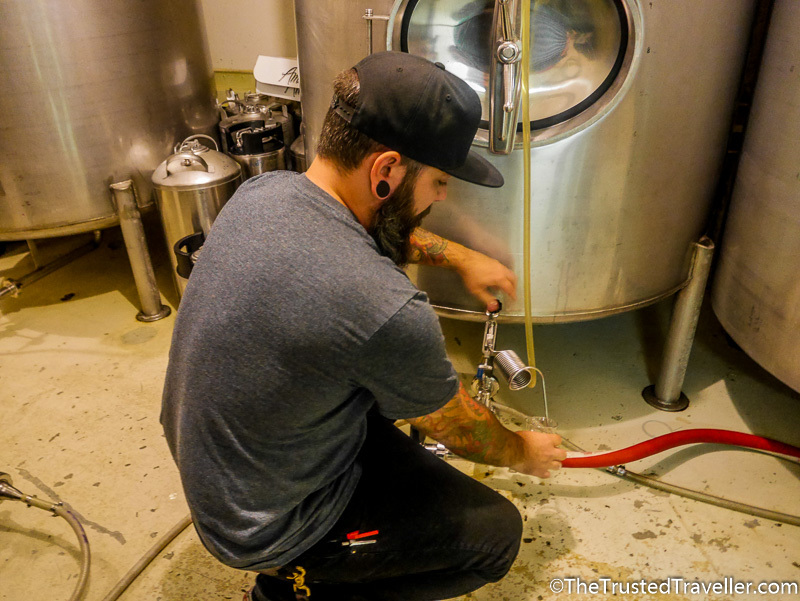 Finally, I loved the behind the scenes access that we got because we were with West Coast Brewery Tours. As you’ll read below, at two of the three stops, we got to go behind the scenes to see where the magic happens and even got to taste beer fresh from a brewing tank. Walk into most breweries around the world and you don’t ever make it past the tasting room. But book yourself a tour and you get an all access pass. West Coast Brewery Tours don’t just visit the same three breweries each tour. 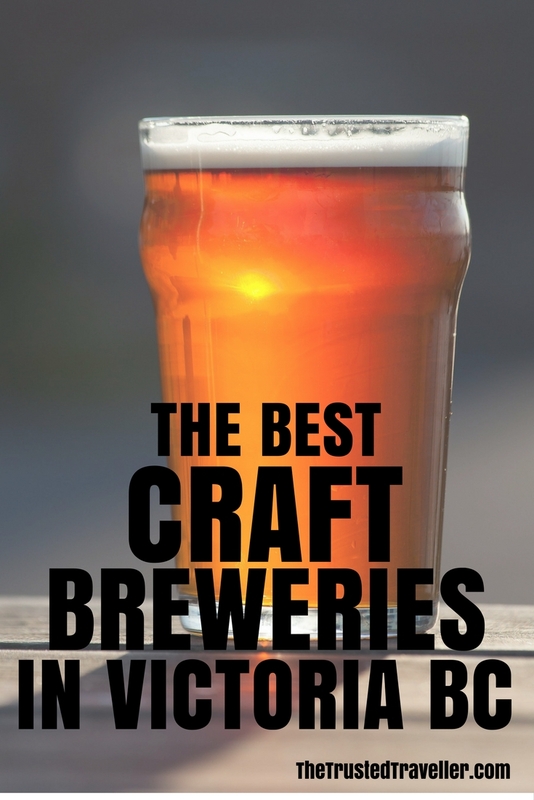 They have a list of about 15 breweries in the Victoria area that they rotate. Here is a run down on the three breweries, one of which happened to also be a distillery, I visited on my tour. First stop was Phillips, a legend in Victoria. Despite starting his business on a stack of credit cards, Matt Phillips began brewing beer in a windowless apartment over 15 years ago and the business has gone from strength to strength ever since. 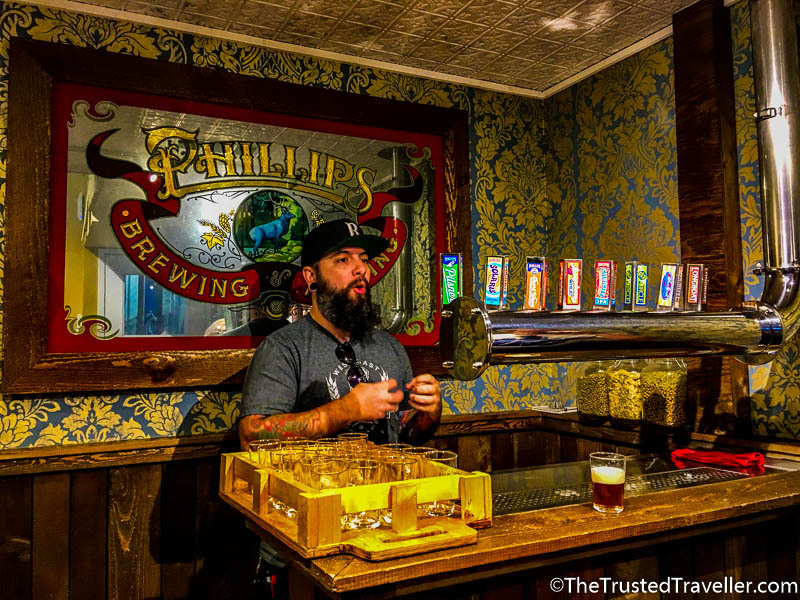 The first three beers Matt produced (an Espresso Stout, a Raspberry Wheat Ale, and a super hoppy IPA) were rather bold for the time, and that bold and creative style is how Phillips Brewery is still known today. Everything is brewed on site (they even have their own malting facility these days) and the shop and tasting room is out the front. We stood at the tasting bar with a view through the window of the brewing facility behind us, as Chris poured the samples. He shared with us the inspiring Phillips story and the characteristics of beers we were tasting. We must have had at least 6-8 different samples fresh from the taps including renditions of those three original beers. I must say I enjoyed all but one, the Espresso Stout (I’m not a coffee drinker), with the Hop Circle IPA, Citricity Grapefruit Zest IPA and the Raspberry Wheat Ale being my favourites. Feeling happy after so many delicious tastings, we were off to our second stop, Victoria Caledonia. Located out-of-town on the road to the mainland ferry, this distillery started brewing beer to bring in some income while they waited for the spirits to distill. You see, it takes 10 plus years for a good spirit to be ready to bottle and sell, but a beer is brewed in just a few weeks. So they created the Twa Dogs Beer label. Greeted by friendly locals in kilts (this is a Scottish establishment) in the shop and tasting room, we were led straight to the back of house where we sat on the brewing floor overlooking to whole production. Here we learned all about the history of Victoria Caledonia and as each beer came out for tasting, we chatted about the taste and how it each one was made. We got to taste a few of their signature beers as well as some seasonal ones. The stand out for me was their seasonal red ale with a nice smoky rich flavour. It is one of, if not the best red ale I’ve ever had. Then for an added bonus, we got a whisky tasting too. I’m not a whisky drinker so my first sip wasn’t so great, but Chris quickly added a few drops of water to dilute it and I must say it was quite enjoyable. By this point, my tour mates and I were feeling pretty happy. We’d learnt so much and drank even more. But we still had one more stop to make, the last stop of our tour, Swans Brewery. 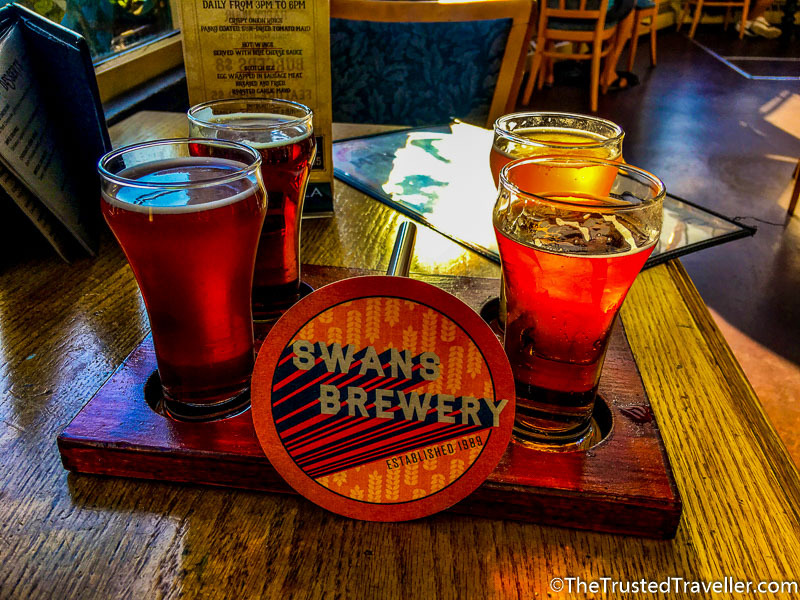 Swans is a brewery and pub in downtown Victoria. Funnily enough, it is located just a few steps from the hostel I was staying at so I had visited the pub the night before. Before going into the pub for our tastings, we went straight to the back of house operations where they brew their beer. The head brewery, also names Chris, was busy working away while Chris (our guide) took us around and showed us the operation while completing our education on the brewing process and telling us about the history of Swans. I mentioned to Chris (our guide) that I’d tried Swans beer the night before and how the Lemongrass Whit Beer was probably one of the best beers I’d ever had. He took us over to the brewing tank for this beer and gave us each a sample of it straight from the tank. It doesn’t get fresher than that! Inside the pub we took a seat and enjoyed a tasting paddle of four Swans signature beers of which I really enjoyed their Raspberry Blonde Ale. 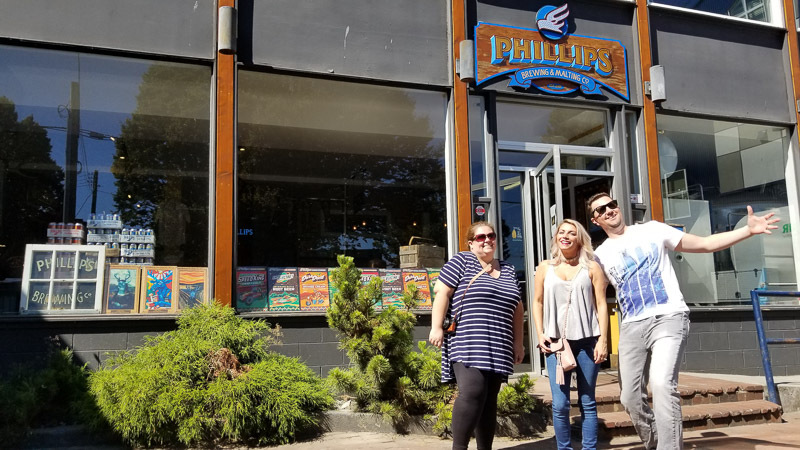 With the tour coming to an end, we chatted about beer, our lives at home and said goodbye to Chris who was off to show another group Victoria’s craft beer scene. My tour mates and I enjoyed a meal together and another cheeky beer, before saying farewell to an awesome day. 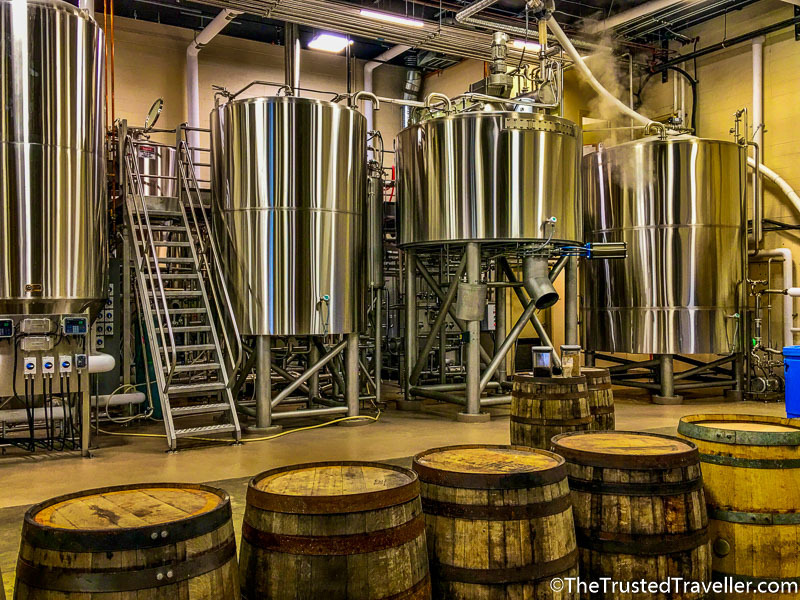 West Coast Brewery Tours offer a few different tour types like a brewery and distillery tour, a beer and food pairing tour and the one I picked, The Definitive Craft Brewery Tour, which focuses 100% on beer. 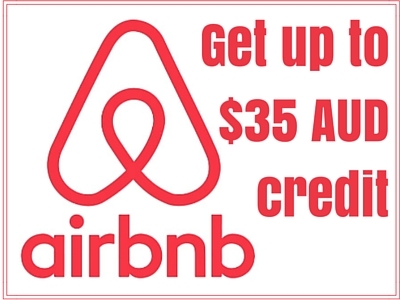 Most tours depart from the Clipper Ferry Terminal at 254 Bellevue Street which is just a short walk from the centre of town. Walking tours depart from the The Guild at 1250 Wharf Street. Water is provided in the van and food can be purchased at some of the stops, but it is recommended to have something to eat before the tour as a decent amount of beer will be consumed. Tours are CAD $75.00 per person for public tours. 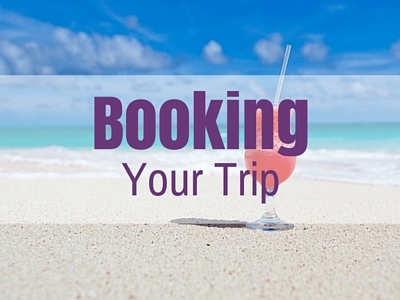 Private tours for groups of eight or more can also be arranged. For a list of tour dates and times and to book, check out the West Coast Brewery Tours website. Disclaimer: Thank you to Elton and Chris of West Coast Brewery Tours for hosting me. As always, all opinions expressed in this post are my own. Where in the world have you experience the best craft beer? Interesting and informative post. I love craft beer – its become so popular lately too. I´ve done a couple of wine tours in vineyards in New Zealand but a brewery should be next on my list! Thanks Mark. If you like beer then I highly recommend a brewery tour. They are becoming more and more common around the world.